...Born in Montreal, Quebec, Barbara Hehner spent much of her childhood as an army brat in the far north: Goose Bay, Labrador and Churchhill.After her family settled in Ottawa, Barbara completed an Honours B.A. 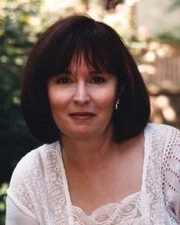 in English Literature at Carleton University and a Master's Degree at the University of Toronto.In 1991, she also completed an MFA degree in Film and Video at York University.Barbara began her career as a junior editor in a Toronto publishing house.This provided her with the opportunity to edit numerous adult and children's books, including The Story of Canada, published in 1992.Barbara was also the creative editor of The Spirit of Canada (1999) - a compendium of Canadian legends, fiction, songs, poetry and art.Barbara began writing books in the early 1980s in partnership with David Suzuki. Barbara Hehner is currently considered a "single author." If one or more works are by a distinct, homonymous authors, go ahead and split the author. Barbara Hehner is composed of 3 names. You can examine and separate out names.